Shipping loves terminology – especially when it comes to things going wrong. With our accidents, incidents, misses and learning opportunities, there are so many ways of talking about bad things. But do we really understand how bad luck, foolishness, arrogance, stupidity, bad design, or other variables affect us? 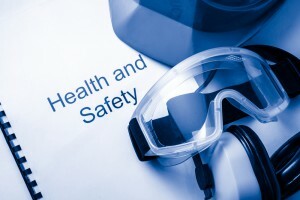 With so much focus on health and safety at work, with safety management systems and paperwork spilling off shelves on every ship, most people would be forgiven for believing that workplace injuries and fatalities should now be a rare phenomenon. Sadly that is not the case. Shipping has come a long way, but has it come far enough? The industry has looked to the lessons of its own past, and to other industries too. Embracing those aspects it can translate and apply, but also finding it all too easy to shy away from the tough actions and decisions which would ultimately do so much to boost safety. Which brings us back to the question – if ships have safety management systems, technology and protective equipment, and if seafarers are trained, aware and responsive to dangers, then why do we still have accidents? Well, the reasons for accidents are many and varied. 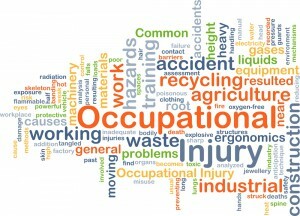 Accidents can be prompted by any combination of “bad” factors. Ill designed equipment, foolish systems, tiredness, laziness, arrogance, stupidity, poor training, bad management or leadership, the list goes on. An accident is a manifestation of a failing elsewhere. It is the symptom of a wider disease, and one that needs treating if accidents are going to ever stop. Statistics vary, but around 80 percent of accidents are considered to be the fault of a person. Somewhere, somehow and in some way, someone has either done or not done something. Just as ashore, the majority of seafarers prefer to find “things” to blame when accidents occur rather than “root causes”. But getting to the real core of the issue is vital – it is not enough to blame a ladder for breaking, or someone being daft enough to go into an unvented space. We need to drill deeper and deeper – to truly understand the causes and then the effect of accidents. When it comes to human factors, safety experts believe there are some basic types of failure. These include simple physical mistakes, like a slip. There are lapses of attention or memory. There can be mistakes in understanding, and there can be deliberate breaches of rules and procedures. 1) Shortcuts: Yes –humans are notoriously lazy, so taking shortcuts comes naturally. However, when working onboard ship it isn’t the wisest thing to try and be clever. “Ooh I know a better way”, usually ends in pain. Shortcuts don’t really save much time or effort – they do however, increase risk of injury, or worse, death. If you do think there is a better way, discuss it – raise it with senior officers or managers. You may be right, and will be thought of as clever…sometimes it’s good to talk the talk, before walking the walk. 2) Overconfidence: Confidence can be a good trait. But spice that up, even ever so slightly and you get “overconfidence” – which is bad…and potentially lethal. There is a very fine line between overconfidence and arrogance, a feeling of invincibility. This is where people think, “It will never happen to me”, they play fast and loose, and usually end up hurt. 3) Poor Seamanship: Whenever someone walks around a ship, they can get a pretty good idea of the prevailing attitude towards safety. Just by looking at how well areas are kept. Are records neat, tools put away, areas cleaned? The answers will point to a well-run ship, or a potentially dangerous one. Seamanship is about common sense, and that extends to dealing with hazards and threats at the earliest possible point. Be clean, be neat, be considered and careful – that is sensible…that is good seamanship. 4) Rushing: Similar to taking shortcuts, but perhaps even more dangerous. Rushing in and starting a task before getting all necessary information, or before planning or assessing the risk is potentially lethal. The quickest way to get a job done is to do it right the first time. To do it right the first time, you need to make sure that you have any and all pertinent information. So step back, think about what you are doing, and then do it well. 5) Neglecting Safety: This is probably the worst thing any seafarer, regardless of rank, experience or time served, can do. Deliberately neglecting set safety management procedures doesn’t just endanger the individual, it endangers the whole crew, the ship, cargo and the company as a whole. Casually following safety procedures doesn’t work either. Whether people like it or not, they are paid to follow safety procedures, not to make up their own. 6) Mental Distractions: Tiredness, stress, fatigue – or just everyday distractions. Allowing focus to slip from the job or task in hand can be lethal. There is a job to be done, and it needs to be done right. If seafarers do feel they can’t focus or manage to concentrate, then this needs to be flagged and action taken. 7) Failing to Prepare: When seafarers begin a task without thinking through the process beforehand, or hastily start without any type of planning, they are setting themselves up for failure. Failing to prepare is preparing to fail. You wouldn’t sail without a passage plan, nor should you start jobs without knowing what to do, when and how. So – we have seen seven potential forms of root cause, but sometimes just knowing that these issues will undermine safety is not enough. It is about taking these aspects of management and applying them. It is about making people understand that dangers are never to be underestimated. In essence it is about the culture and the ethos onboard, and that comes from the company and the senior officers. It isn’t enough to talk of shortcuts or overconfidence being dangerous. It isn’t enough to stress the importance of seamanship or the value of preparation. It isn’t even enough to ensure that preparation is appreciated, and that rushing and distractions are frowned upon. To take the root problems and turn them into a way of safety life onboard, that is the key. These issues need to be ingrained in the hearts of minds of all on the ship. When they are second nature, when seafarers have the ability to not just police themselves, but to ensure other do not act out of line – that is when there is a chance of treating and curing “accidentitus”. Tell us about safety on your ship – what steps do you think work to make everyone safe?